In Real Life, the Hollywood Records band known from ABC’s competition series Boy Band, recently visited Walt Disney World Resort where they mix and mingled with some villainous fiends, performed for Guests at the ESPN Wide World of Sports Complex and even experienced their favorite attractions. Could you give a piece of advice to students wanting to pursue being in a band? One of the most important parts of being a part of any group of people is always keeping the group in mind and communication. You as an individual are just a piece of the puzzle. Also, just have fun. We are with multiple people that love doing the same thing and we just have to enjoy ourselves and trust each other. Since you all work so closely together each day, how do you work through conflict when it arises? Whenever there is a conflict it’s always best to keep the greater good in mind. We have to think about what’s gonna help us as a band before we think about ourselves. Make sure to always speak up whenever you see that there is a disagreement anywhere. How do you all prep for a performance? Do you have any fun pre-show rituals or vocal warm-ups? Before every show we like to have some time to ourselves. At the end of the day, it’s only us on stage so we have to feel that energy before we go out. We each have our individual warm ups and when we get to sound check, we sing through our songs together to practice blending. Lastly, we pump each other up and prepare to have a fun show. 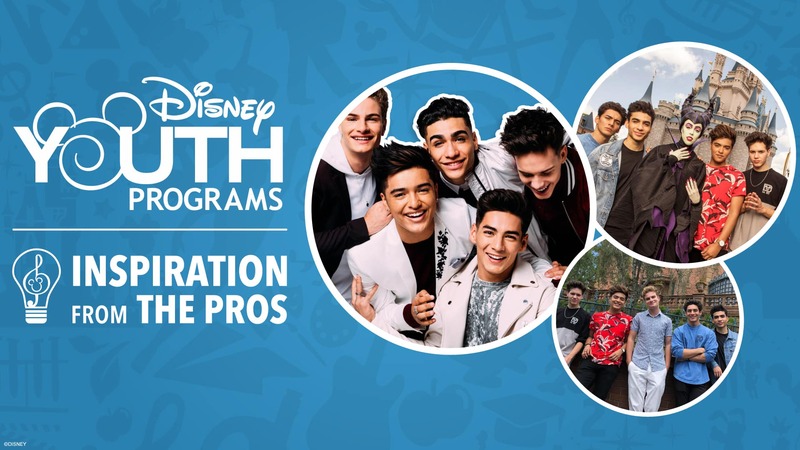 Don’t forget to check out our Disney Performing Arts Workshops where your students can learn from Walt Disney Parks & Resorts Entertainment Cast Members themselves and be sure to follow us on Facebook and LinkedIn for even more Inspiration from the Pros.